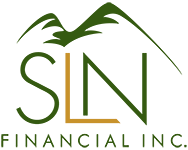 3 Ways to Turn Retirement Savings into Income | SLN Financial, Inc. Most of our lives are spent saving for retirement, but when the time comes, how do you turn that nest egg you’ve created into a steady income? We’ve broken down three ways. 1. Annuitization. Income annuities take a lump sum of cash you’ve earned and turns it into guaranteed income for life. You can purchase an annuity that has inflation adjustments, access to some of the principal, or even death benefits to a survivor – although these features usually will lessen your income payments. 2. The 7% “optimal” withdrawal rate. You may have heard of the 4% withdrawal rule before, but industry guru Wade Pfau has argued that a 7% initial withdrawal rate is more optimal. He says that it’s a great balance between the contending demands of higher income, while protecting retirement savings. But, it does come with risk – you should be more risk-tolerant and have income coming from other means (such as Social Security) before considering this option. 3. Living off investment income. If possible, you can retire without depleting your nest egg. Rather than withdrawing principal, you can simply live off investment dividends and interest income. However, this income strategy may produce lower income thanks to unimpressive treasury note and S&P 500 yields. Do you have a clear retirement plan made with an expert’s help? If not, you should. Give us a call and we can help create an effective and fruitful retirement plan.